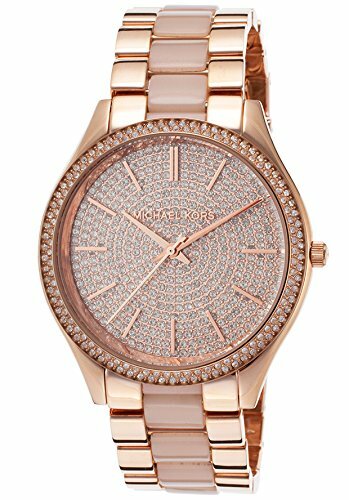 Pavé crystals glitter from the bezel and dial of this elegant Michael Kors watch. Opaque resin links accent the center of the band. Hinged-snap clasp.